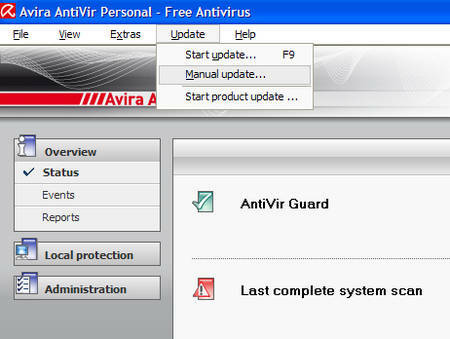 Download the latest virus definition file (IVDF) on a PC with internet access. Start AntiVir Personal Edition Classic / Premium. Click on Update and select Manual Update. Select the downloaded IVDF file. Your AntiVir PersonalEdition Classic / Premium is now up to date. Click here to download the IVDF file.